Ronnie O'Sullivan returned to the top of snooker's world rankings for the first time in nine years on Sunday after winning the Tour Championship. O'Sullivan had not been world number one since 2010 but his 13-11 victory over Neil Robertson in Llandudno saw him overtake Mark Selby. 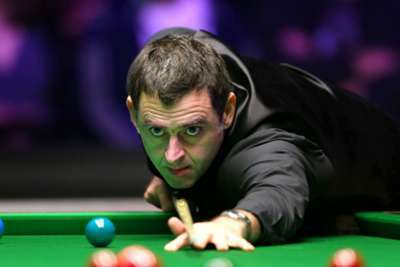 Having led 5-3 overnight, O'Sullivan saw his advantage twice wiped out by Robertson as they were tied at 8-8 and 10-10. Robertson could not stop 'The Rocket', though, as he clinched the title and a welcome return to top spot - making the 43-year-old the oldest man to occupy that position since Ray Reardon. "I've never been driven by number one as if I was I'd probably enter a few more tournaments." The victory also saw O'Sullivan equal Stephen Hendry's record of 36 rankings titles, a landmark he will hope to surpass at next month's World Championships in Sheffield.